‘Trust the man who hesitates in his speech and is quick and steady in action, but beware of long arguments and long beards’. 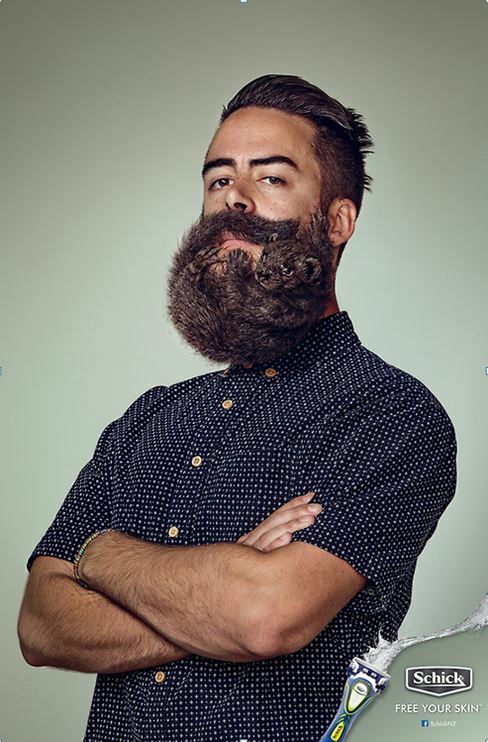 Beards are very topical at the moment, with the rise in popularity of the Hipster Beard. It’s probably worth attempting to explain what Hipsters are, although they may have changed by the time my fingers hit the keyboard. Perhaps it’s easier to frame them as the latest very visible trend of counter-culture. Of course this varies depending on where you live. There are often more than one counter-culture active, so whilst they didn’t replace the receding Emo trend, they attracted more people. This cultural-shift is similar to any of the counter-culture movements from Teddy Boys, Punks, Mods to Skin-heads. What these movements share is that what they do is non-mainstream – but at the same time their rebellion feels relevant. As a movement, they create a cohesive collective-identity not in that all participants look the same, but in that they collectively don’t look like other people. Another consideration is that as subcultures gain a certain cultural-momentum, you tend to find that with so many regional variations, it starts to get difficult to point to anything outside of the stereotypes as descriptions. Hipsters all express their individuality though a personal bricolage of immaterial and material cultural gestures but tend, like most subcultures, to focus on particular themes. While the Hipster movement is at the moment apolitical, it is a strong consumer of new trends and experiences. Arguably, there are only some that appeared to have remained consistent for them, like: music, single gear bikes and beards. The Hipster adoption of beards is interesting, since it’s not entirely sure if this is actually led by the Hipster movement or represents a broader socio-cultural development. 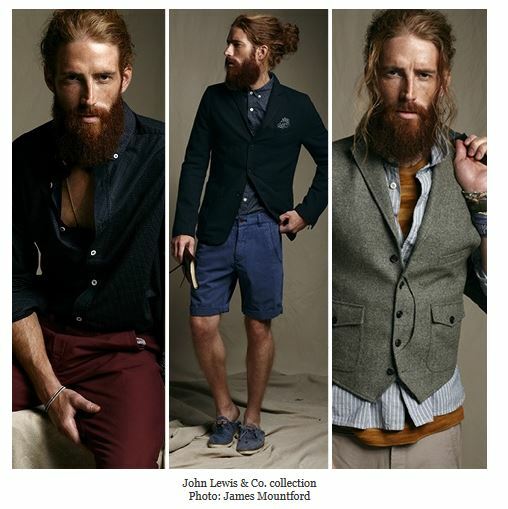 The connection between Hipsters and beards was noted as early as 2005. Anyone looking at cultural-trends starts to recognise the ebb and flow of oppositions. Plain shirts to patterned, bootleg jeans to skinny, big hair to short hair, padded shoulder to fitting, et al. It’s a truism that both history and fashion seem to repeat themselves on a regular basis. How many times has the YoYo come and gone? … although it is possible that the handheld-device has killed them finally? “(the) Macho man has bitten the dust: he’s been replaced by something just as tough inside, but softer at the edges…He loves Armani, is seen just as often near a catwalk as competing in sport, confesses an adulation for Kylie Minogue, even designs his own jewellery. But he’s not gay”. Men like David Beckham, Pat Rafter, Robbie Williams were all faces to this more self-conscious male that took care of himself. If we express ourselves in systems-of-difference, it was only a matter of time before we found a more masculine expression of male identity once the ‘metro’ trends mainstreamed. Fast forward from 1994-to-2014, and we see headlines such as “Death of the metrosexual? As men embrace fashion and grooming more than ever, it is no longer considered effeminate to look well-turned out”. The author’s conclusion – it’s become the norm – ‘But so standard is it today for men to be concerned with their appearance and interested in fashion that it is no longer considered effeminate or ‘gay’ for a man to take pride in looking well-groomed – and the word is dying out’. It’s important to recognise words can only ‘die out’ only when the meaning becomes normalised or irrelevant. How can a male today stand out in a crowd of well-dressed, well groomed competition? Deep down we are still apes, still driven by status-needs to position ourselves and attract mates. In a crowded field men have always tried to bring attention to themselves within the ‘pecking order’. This perspective has been verified in another way. Janif, et al. (2013) conducted a study looking at the impact of facial hair when everyone else is clean shaven. They have coined the term Negative frequency-dependent sexual selection, which means that if you stand out, you are more attractive: ‘Women and men judged heavy stubble and full beards more attractive when presented in treatments where beards were rare than when they were common. Likewise, clean-shaven faces were least attractive when clean-shaven faces were most common and more attractive when rare.’ Just like luxury marketing, scarcity and rarity increase desire and demand. To the delight of the media and the terror ofpogonophobiacs, stories broke this year of Hipster’s paying up to $8,500 for beard-boosting procedures from plastic surgeons. This suggests these quasi-hirsute males are getting these beard-transplants to fit more visibly into the Hipster subculture; or believe that they will have more luck attracting partners. Recalling that trends take time to evolve, it is interesting that in 1996 when the metrosexual trends were emerging, a study on beards found that facial hair is associated with being less aesthetically-pleasing, aggression and age . More recently (2011), in the Behavioural Ecology Journal,there is discussion that beards augment perceptions of men’s age, social status, and aggressiveness, but not attractiveness. This might suggest that culturally beards were more commonplace and less representative of ‘negative frequency’. However, there have been other studies where these findings contradict each other over what beards mean, speaking to shifts-over-time in connotations, more than some innate guiding biological explanation. ‘facial hair is worn to enhance a man’s marriage prospects by increasing his physical attractiveness and perception of social status. Men shave their moustaches, possibly to convey an impression of trustworthiness, when the marriage market is weak and women might fear exploitation and desertion’. Barber makes the point that this approach of a more evolutionary-psychological driver, can explain the rise-and-fall of facial hair outside of cultural-trends. Although, it has been suggested that symmetry is necessary for attractiveness , which does make a quick web-search of Hipster beards raise the question if this really is about attracting partners – while you do have to admit they stand out. A recent study by Dixson, et al (2013), does speak to the current cultural acceptability of facial hair. Their conclusion is that an intermediate level of facial hair is most attractive – this fits into a post metrosexual opposition and the preceding full facial hair norm. The result facial hair that is somewhere between the metro-man and the traditional male image appears optimal to be ‘attractive’. Although interestingly, they found that full-bearded men may be perceived as fathers that could better protect and invest in their offspring. A lot of the research in this area tends to shift over time, location and methodology. What is clear is that there are cyclical trends in beards that are used to define and identify one generation from another. Hipsters are the most visible expression of this definition but it is likely that this needs to be contextualised in a historical-metrosexual environment. New socially-active events like Movember are increasingly giving men social permission to experiment and express their identities with facial hair, which means that beards are probably here to stay till the next time society shifts overtly back to being clean shaven.